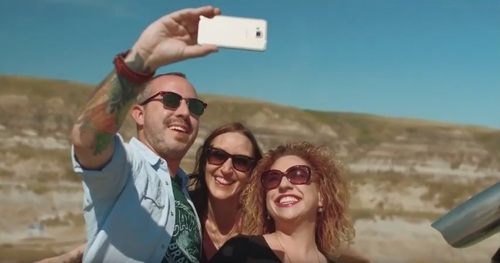 The Future of Sikome & New Selfie Contests! 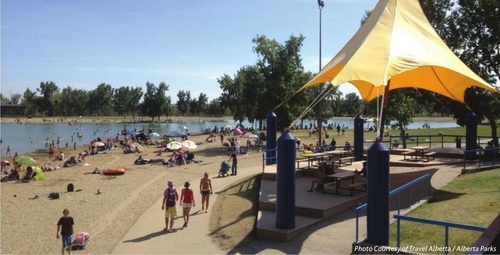 Alberta Parks wants your input about the redevelopment plan for the Sikome Aquatic Facility! Sikome is an artificial body of water located in Fish Creek Provincial park. With the hot temperatures we’ve had this summer, the public swimming area has been very well used! In fact, visitation has dramatically increased since Sikome opened in the late 1970s. It’s time to upgrade and modernize existing facilities. Complete the survey between now and August 26. You can also attend an open house to learn more about the project and to express your thoughts and ideas. 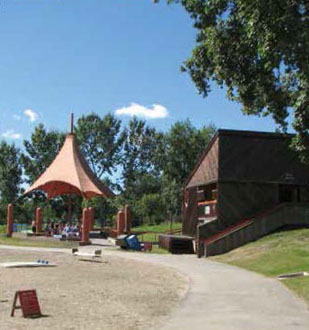 For the lowdown on Sikome Lake, refer to our article in our Experience Calgary’s Parks ‘n’ Paths guide. You’ll find information on amenities, fees, and even an explanation of the aquatic facility’s unusual name! Photo Contests Are Up and Running! You’ll find all of our photo contests housed on our new website Experience Travel Guides. If you’ve taken a dino-themed selfie, then you’ll want to enter it in our Dino Selfie Contest. The contest closes at the end of the month, so make sure to enter by August 31! To enter, submit a selfie (or group picture!) in dino country or a dino-themed picture at the Royal Tyrrell Museum, Dinosaur Provincial Park, Jurassic Forest, the Calgary Zoo, etc. Not sure where dino country is? Think “badlands,” or just check out our handy Dinosaur Trails map! We’ve moved our Dino Selfie Contest to a more user-friendly platform, so be sure to check it out even if you already did in the past! Remember to vote for your favourite picture. 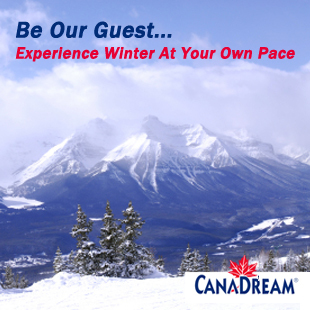 The photo with the most votes wins an amazing getaway package to Grande Prairie!